« See you in Australia! Hello, I’m back from two SupaNova Comic Con and Conventions, one in Melbourne, and one on the Gold Coast in Australia. These are amazing, wonderful conventions run like clockwork by the friendliest, most professional folks around. I had a supa time promoting the new anthology, “Sherlock Holmes and Dr. Was Not” (an anagram of “Watson,” yasee?) edited by my friend Christopher Sequeira, and hanging with comic book writers, artists, prose writers, and sharing some cordial green room moments with the Two Tylers from Teen Wolf (for which I wrote a novel.) 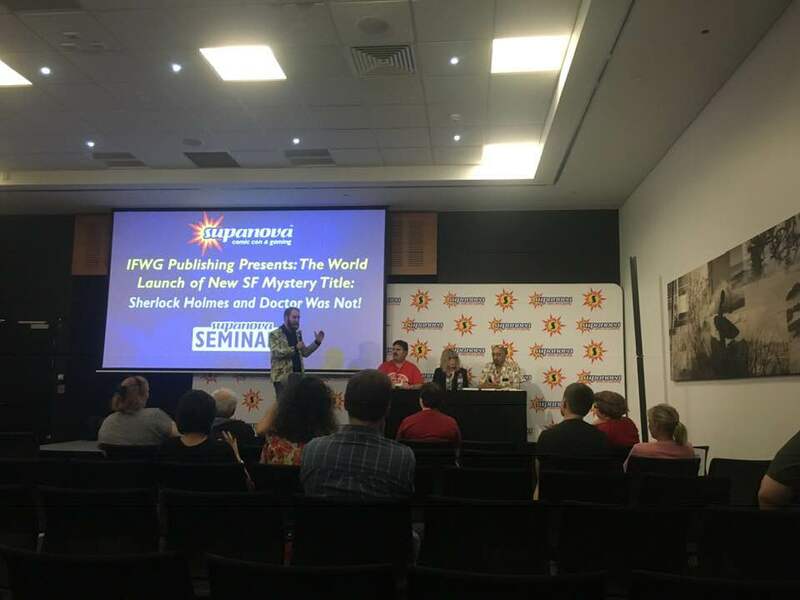 If ever you can make it to one or more of the six SupaNova cons, GO! And take me with you! This entry was posted on Tuesday, April 16th, 2019 at 8:33 pm. You can follow any responses to this entry through the RSS 2.0 feed. Both comments and pings are currently closed.